Abe’s government is set to reveal specifics about the “third arrow” of structural reforms in June. The government of Prime Minister Shinzo Abe is set to revamp the “third arrow” of his economic reform plan in June. 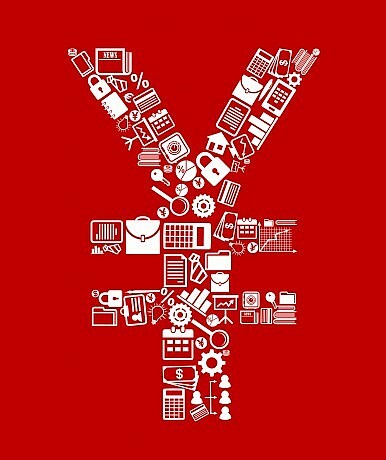 While Abe has adopted aggressive monetary easing and fiscal stimulus – the first two arrows – the third arrow, usually referred to generally as structural reform, has yet to be implemented or articulated fully. As Abe seeks to capitalize on the initial success of the first two arrows, he will need to begin the next phase quickly as the initial economic benefits of his policy begin to wane. Japan’s Nikkei Stock Market has lost 13 percent of its value so far this year. Indeed, both analysts and corporations were happy about this prospect, according to the article. They see a quick and explicit government articulation of this policy as necessary, since the changes to the majority of Japanese company boards will take some time. “There has been progress in the sense that it’s now harder for companies to say they have no intention of appointing even a single outside board member. But the next step is for companies to voluntarily appoint more,” said Kengo Nishiyama, a strategist at Nomura Securities. The June announcement isn’t expected to create legally binding law, but rather outline a new governance code that would bring Japanese companies up to international standards, and require companies to “comply or explain” in regard to the new code. On Sunday the LDP also proposed a new tax structure for couples that would replace the current spousal tax deduction system. As the law stands now, tax deductions for the husband decline after the wife’s yearly earnings exceed roughly $10,800, while hers would increase. The new tax structure would deduct a uniform amount from their combined income, and the wife could choose to forego the deduction so that the husband could deduct the corresponding amount. The LDP Headquarters for Japan’s Economic Revitalization panel is discussing the proposal this week in the hopes that it will become part of the new Abenomics strategy in June, according to government sources who spoke with the Japan Times. The panel is also looking to reform the public pension system for wives of employees that make less than roughly $12,800 annually, and to make benefit payments for child-care leave easier to obtain. Investors in Japan are anxious to see the specifics of Abe’s new structural reforms. They want assurances that concerns are being addressed, and that reform moves beyond the superficial. Simply forcing Japanese corporations to add a few token board members or increasing the number of short-term visas issued do not indicate the kind of deep and systemic changes most investors had wanted. However, significant changes to employment and benefits for Japanese workers appear to be much more likely, as the specifics on those reforms have been much more forthcoming and have been more popular with the public. The further implementation of Japan’s National Strategic Special Zones is also likely. These regional laboratories target specific industries for growth, and are intended to be beneficial for Japanese labor and foreign investors. It remains to be seen how close Abe’s third arrow will be to hitting his intended target. Despite the rhetoric, little has been done since the Olympus scandal.